Qureshi highlighted the importance of the SCO as a vital platform to achieve the objectives of peace, security and stability across Eurasia. DUSHANBE: Pakistan is committed to combating terrorism in all its forms and offered to share with member states of the SCO the expertise it gained in fighting the menace, Foreign Minister Shah Mehmood Qureshi said Friday. Addressing a high-level meeting of the Shanghai Cooperation Organisation (SCO) here in the Tajik capital, also attended by External Affairs Minister Sushma Swaraj, he said the world was in a "state of flux". Qureshi said a global architecture for peace, security and development, that treats all sovereign states on the footings of equality and respect was required, Dawn quoted him as saying. This was the second Council of Heads of Government (CHG) meeting attended by Pakistan after becoming a full member of SCO in June last year, Pakistan's Foreign Office said in a press release. In the context of SCO's Regional Anti-Terrorist Structure (RATS) he pledged Pakistan's commitment in combating terrorism in all its forms and manifestations. He also offered to the SCO member states the sharing of expertise gained in fighting terrorism, the release said. In her address, Swaraj told the SCO leaders that "terrorism remains the most overwhelming threat to our common goals of development and prosperity". As the footprint of terrorism expands, governments must assume their national responsibility and cooperate with each other, she said. Qureshi also underscored the need of upholding peace in an increasingly tense international environment. While speaking on the issue of economic development through regional connectivity, Foreign Minister highlighted the importance of the USD 50 billion China-Pakistan Economic Corridor (CPEC). The CPEC is the flagship project of the multi-billion dollar Belt and Road Initiative (BRI) aimed at enhancing Beijing's influence around the world through China-funded infrastructure projects. The Foreign Minister also emphasised on Cooperation among SCO countries in the field of multilateral trade and removal of tariff and non-tariff barriers. He also supported the initiative of establishment of SCO development bank and development fund. 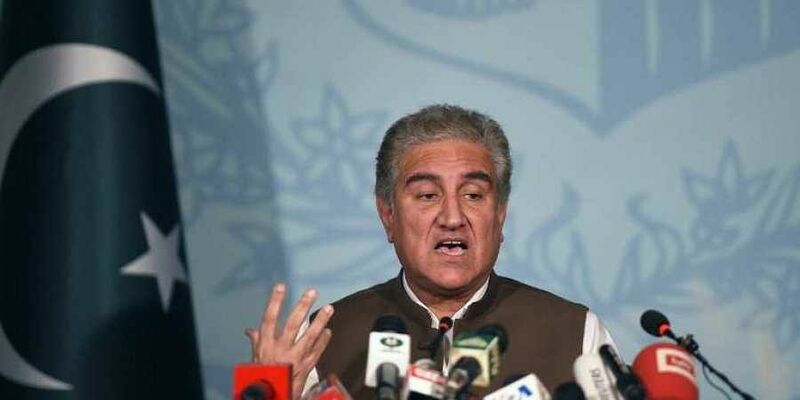 Qureshi also expressed Pakistan's full support for peace and stability in Afghanistan and assured cooperation for the SCO's initiatives towards this.